Recycle waste newspaper to create plant pots! 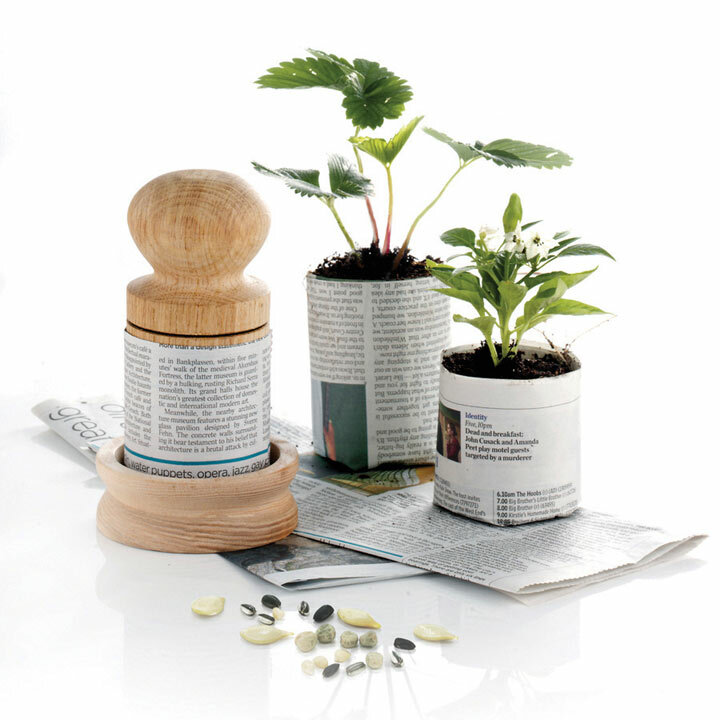 Made from responsibly sourced FSC certified oak, this simple idea makes small starter pots in seconds with no glue required. The whole pot can be planted and the roots will grow through the pot as it degrades in the soil. Makes pots 6.5cm wide and 7cm deep.